Donkey Jaw: Your childhood was full of musical influences to say the least. What’s your first and/or favorite musical memory? Laura Stevenson: My first musical memory would probably be listening to Venus by Shocking Blue and my stepmom grabbing my feet and making them dance. I was very, very little, maybe 3 and I thought it was the most hilarious thing in the world so I would ask her to do it all the time for like, the next year. And she would. Also, side note, I just listened to that song again recently and it has one of the best guitar solos ever. Speaking of influences, you credit Dolly Parton for piquing your interest in fingerpicking the guitar. Did her songwriting shape you as well? Totally.She’s up there as one of my all-time favorite writers. She’s written like, 1,000 songs or something and they’re all hits. Even Drinkenstein. There’s a Youtube video of Sylvester Stallone singing this in his movie with Dolly called Rhinestone. It is so good your head might explode. No! My mom said she was going to take me there for my 30th birthday though! Would you call Wheel an existentially-obsessed record given the topics therein? I’d say yeah, not in a heavy-handed way but it definitely deals with those persistent questions we all have. I get a little neurotic and writing this hasn’t necessarily cured me but it has helped me organize the things that terrify me, so… I think that might be the first step. What was the most challenging part of turning over a part of creative control to your producer, Kevin McMahon? The lyrics for sure, I’ve grown as a writer and the act of writing is helping me grow as a person so, things are good. If you had to pick one, what’s the track on Wheel that means the most to you and why? I’d say The Wheel. That’s the closer. I wrote that after we were done recording and I was alone and feeling crazy and it was hot as hell in my apartment.I think all of that just became the perfect environment for me to finally deal with some things I had never wanted to say or deal with. Anyway, I started working on it just by pulsing the last droning note of L-DOPA and then it just became this beautifully honest song that kind of closed the circle of the album for me. You have referred to yourself as an “unfunny Woody Allen.” Tell us more about that. He’s one of those people I’ve always just felt a kinship with because he’s so overwhelmingly nervous, nerdy and obsessive. But somehow he manages to be super charming and hilarious and sweet about it all while I’m just kind of an annoying bummer mostly. You will be touring with Field Mouse starting next week. How did that come about? They’re our buddies and they also happen to be the best band so it was perfect. Other than your own, what’s the one record our readers should check out right now? It’s been out for a bit now but I’m still getting blown away by that new Swans record, The Seer. 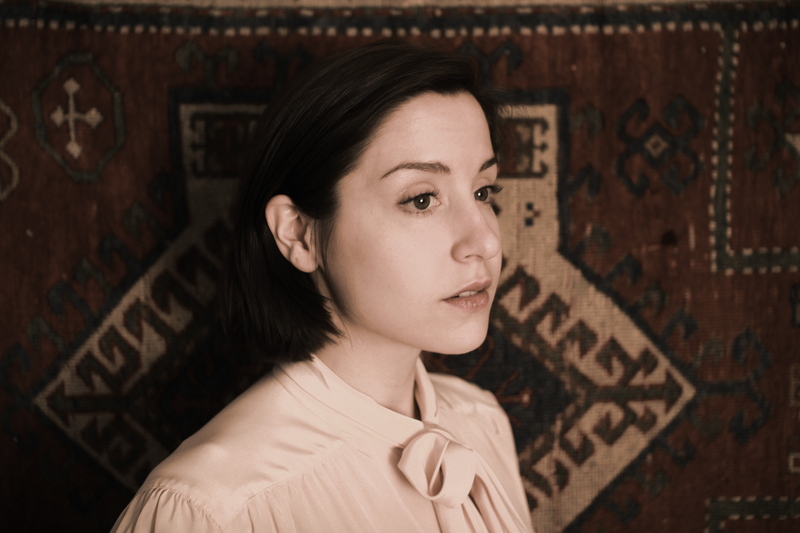 Laura Stevenson plays The Camel in Richmond, VA today as part of the Stay Sweet Festival before embarking on an extensive tour of her own with Field Mouse. Her third album, “The Wheel” (Don Giovanni Records) drops April 23.